If you follow me on Instagram or Twitter, you'll know I've been going a little crazy over IKEA recently. With us currently living with a relative, and shortly helping him sell and move house (and move with him elsewhere), it's been nice to get a thing or two to make our room feel a little more 'ours'. When you're living in someone else's house it's difficult to really feel at home. I honestly cannot wait to move into our own place (although living with family paying a cheaper rent is definitely saving us money), just so we can make somewhere completely our own. 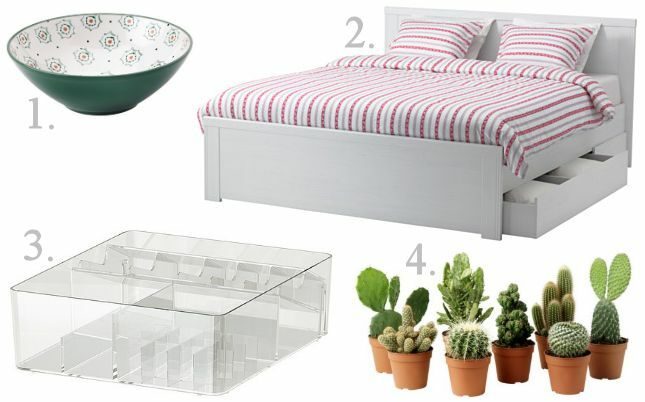 Here are a few things I've been lusting over in IKEA! Like everyone else and their dog, I'm into minimalist decor with splashes of colour from furnishings. Also, every time we head to Ikea I have to buy some food as they're pretty good as supplying gluten-free food! Tarta Mandel is amazing for any fellow coeliacs out there, or anyone really- it's full of almonds and is so tasty! 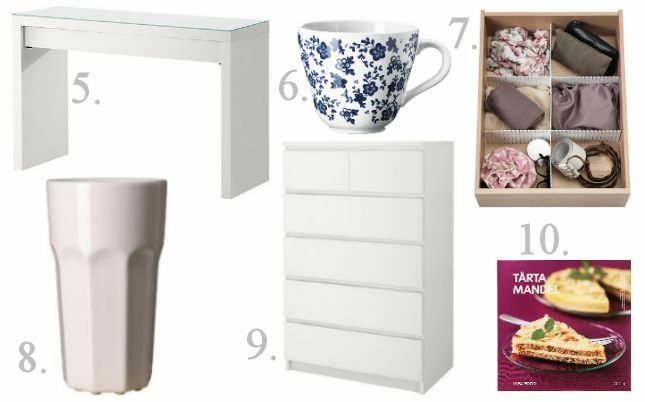 Do you like IKEA? Is there anything you've been lusting over recently? When you first announce to friends and family that you're moving abroad, it's always a mixed bag of reactions. Whilst most are supportive and are excited for you, there's always those few that question your decision and your future (or do not react at all). Luckily when we announced we were moving to Australia after I had finished my Masters degree, most people were supportive- we knew before I accepted my Masters offer that we would be there afterwards, so it wasn't exactly a surprise to most. During my Masters year it was odd; I'd just finished my undergrad course and moved back home, and decided doing a Masters was what I wanted to do. Most of my friends from uni were from the South of England (mostly London), and since graduating have either returned to live at home or have eventually moved into their own places in the London area. I actually found it incredibly difficult to keep in contact with many of them on a regular basis since graduating- I have always been that person who has been friends with everyone, so have had more than just one group of friends. I have 3 'sets' of friends; a group of friends I kept in contact with back at home whilst I was at uni, some friends from secondary school who were not in this group, a group of friends at uni in the year above, a group of friends in my year group and then many 'random' friends in my year group who were either on my course or who I had met somehow along the line. As that person who did have friends from different groups, I became incredibly aware of how many people dedicated their time to doing EVERYTHING with one group of tight-knit friends, and I kind of became that person who was only able to spend X amount of time with any one group at a time. During my Masters year I managed to meet up with my 'home' friends a couple of times, group of friends from the year above at uni a couple of times, and the group of friends from my year at uni a grand total of zero times. Alongside working part-time and doing my Masters, it was incredibly difficult to spend my time traveling to see people (I would always have to travel down South, as that is where most of them are located). It actually got to the stage where as I couldn't meet up on a few occasions, I was no longer invited or even contacted anymore by certain people, even from back at home. I've come to realise that some of these friendships I have had were very black or white. After announcing my big move I heard nothing from one particular group of friends (aside from one who I'm incredibly close to!) about meeting up or even well wishes for my next adventure. Hell, I didn't even hear anything when they found out my grandma had died after living with some of them who knew I visited her several times a week... and I think it is because I haven't spent time with them since graduating. In their minds- we haven't seen her for x amount of time= we aren't friends anymore, and it's sad. I'm not really sure how they thought I was ever going to be able to maintain being friends with them after moving to Australia in that mindset, and it hurts. When you think people care but when it comes to the crunch they do anything but, it really does hurt, but do I want those people in my life? Probably not. I honestly feel like I have made effort (yes I could have probably made a little more but I have wished happy birthdays, engagements and sent cards to them if someone has died in their family), yet failed to get any kind of thing in return. Even now, most of my friends from home have made zero contact since I've moved half way across the world. As someone who is quite sensitive I have found it difficult, but I've come to realise even more since becoming an expat, that friendship is a two-way street. For most of my life I have always tried my hardest with so many people and a lot of the time I have had minimal effort in return. I guess part of growing up is learning how to weed out those relationships and know when you have outgrown certain friendships. The other week I went through my Facebook account and deleted so many of these one-way friendships. Yes I spent most of my school years with her and even went on holiday with her, but realistically has she ever been there for me? Was I always putting in the effort without any return? Yes- and I hit the delete button. Was I even friends with this person in secondary school, did I ever utter more than a few words to them in the many years I was there? No- delete! It honestly felt so good to remove so many associates and negative people in my life- it's a bit weird that we live in a world now where anyone can see what you are up to at any given time. Friendship is a funny old thing, and something I'm now battling with here in Australia: how the hell do I make new friends at the grand age of 24?! I've made friends at work, but there's a pretty big age difference between me and them for the most part. This being an adult thing ain't easy...but moving abroad definitely highlighted to me how much I want my friendships to be real, 2-way and anything but high maintenance! I'm so lucky to have some people in my life who fit into this category. 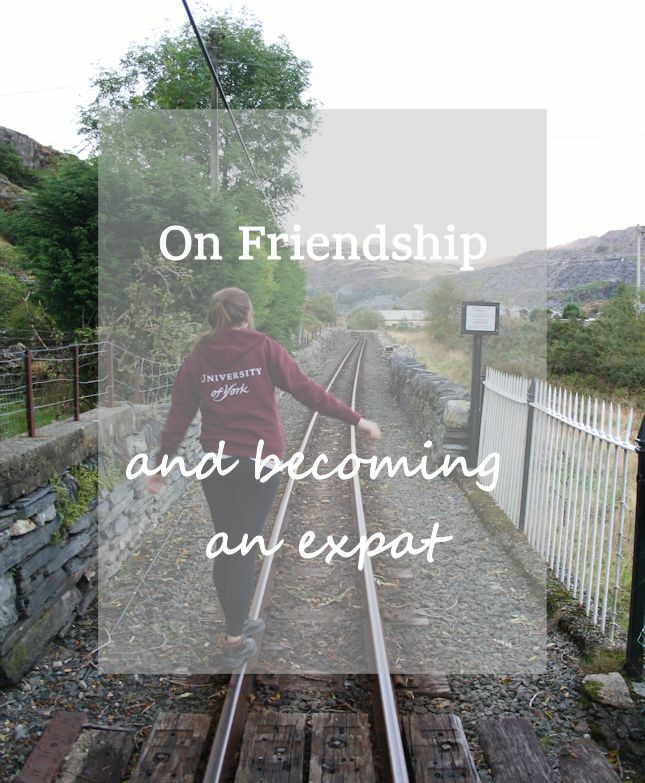 What's your experience with moving abroad and your friendships back at home, or even your friendships from school/uni? Are you still friends with them or did you drift? Becoming an expat is a funny thing. You leave most of your life behind in another country and sort of have to start all over again somewhere completely different. As someone who likes to be organised and have a control over any hoarding tendencies, I quite enjoyed moving to Australia armed with just 1 suitcase, however it quickly became apparent that I also enjoyed having my surroundings filled with things that reflected my personality. As me and M are people who don't like to spend a lot of money on materiel items, we've found garage sales here in Australia as a source of many bargains and we have slowly filled our space around us with things we really like. I really recommend checking out garage or car boot sales around you to seek out bargains when on a budget- there's nothing better than taking something off someone who would otherwise throw it away and use it yourself and get enjoyment out of it! I decided to showcase a few of my favorite things we've picked up since moving here- make sure to let me know any bargains you've purchased at carboot or garage sales! I'm starting off with one of my favorites- how perfect is this?! 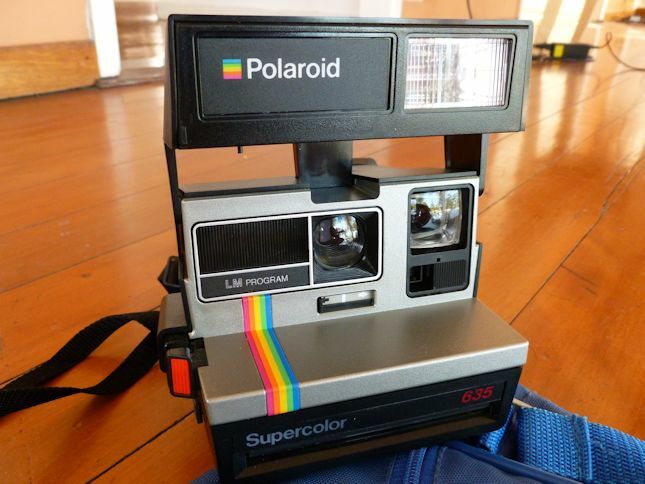 I paid a mere $5 for this and it is in perfect condition (although I still need to buy some film to test it out properly!). When we eventually move into our own place I can't wait to display it on some shelves. I'm sure anyone who blogs using a laptop can agree with me that they hate the burning caused by laptops when working on the sofa etc. 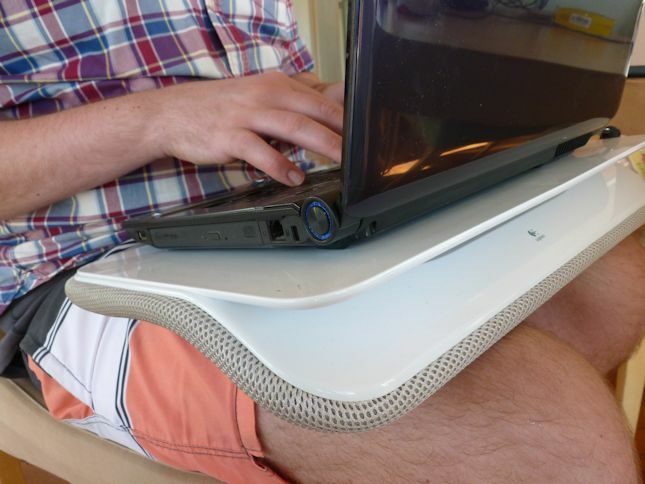 We found this Logitech laptop holder which has become so useful since I started blogging again- I can sit anywhere without having a hole burnt through my legs and our laptop doesn't overheat- win! It's hard to find records and LPs that are reasonably priced these days. My mum has so many back in the UK and I think I've been spoilt over the years in being able to play some of my favorite music on vinyl. 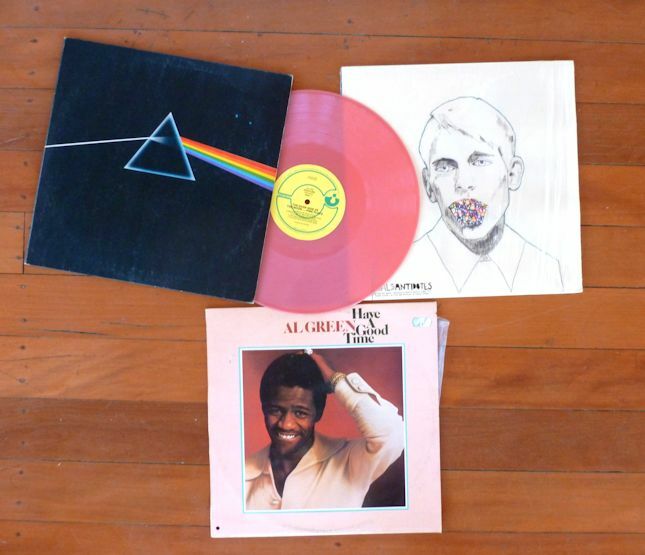 Now me and M have started to collect some ourselves, and the first I added to my collection was these Pink Floyd and Al Green albums. There's something about the sound of old records that just takes me back to being a child and listening to Jimi Henxrix, Chic and Earth Wind & Fire with my mum which I love. Australia is notorious for having expensive books and unfortunately they don't have Amazon to help a girl out when I'm in need of some good reads (FYI Book Depositary is the best place I've found). Garage sales have therefore become my faovirte places to pick up a cheap read. I recently got this Gaudi book which takes me right back to visiting Barcelona (one of my favorite places I've ever traveled to) which has been really interesting to flick through- the photos are so gorgeous. 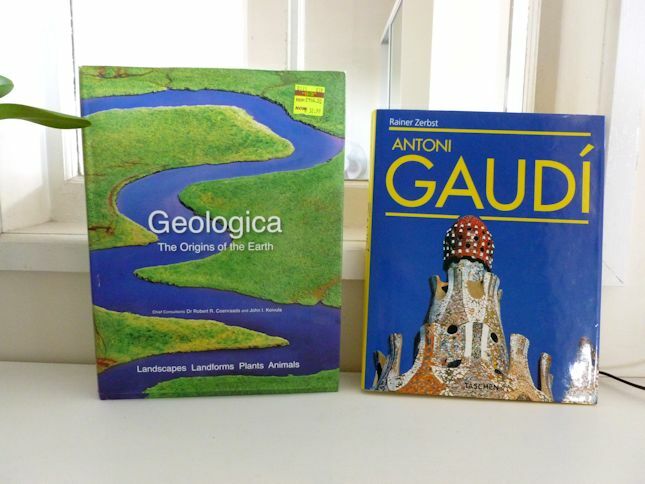 M also picked up this geologica book which also has some amazing photos and retails at $100 originally! Now I've never really been a film buff- I've always preferred tv series over actual films, however with M working in a video rental shop as a teenager, he quite enjoys them. Garage sales are such a good place to pick up films- I've managed to pick up some of my favorites (and started a Disney collection) since moving here for less than a $1 per film. 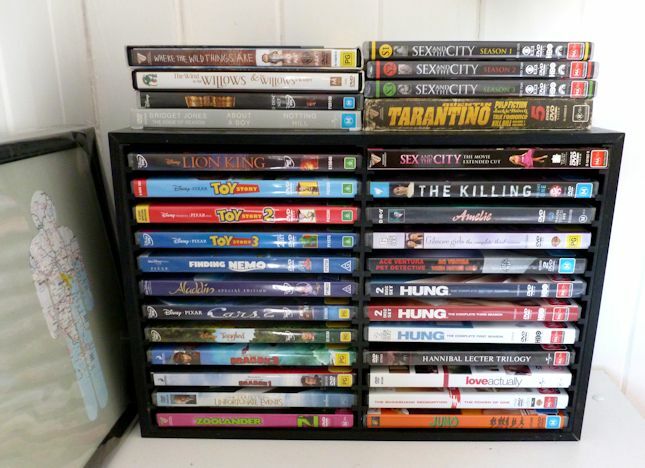 I've also watched Breaking Bad, started House of Cards and nearly finished a re-watch of Gossip Girl after finding all of these for ridiculously cheap at garage sales! 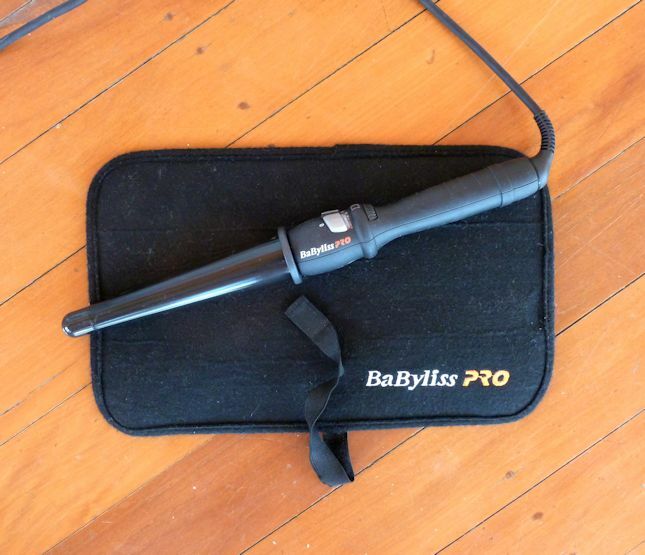 I've been after a curling wand for a while now. Back in the UK I have a curling wand with a clamp, however the barrel is quite small which means it takes ages to curl my thick hair. When I saw this I knew I had to get it for a mere $10. Do you ever go to garage or carboot sales? What are some of the bargains you've picked up? The past few months seem to have gone by in a bit of a blur to be honest (hence the lack of posting). Anyhow, I thought I'd jump back into blogging by telling you about some things I've been enjoying recently. Friends pretty much got me through secondary school (which I pretty much hated by the way!). I used to fall asleep watching it every night (hello insomnia! ), and since moving to Australia and leaving my trusty box-set at home, I've missed it! Well I recently saw it being sold over here for $20 and couldn't pass it up, so now I'm the official owner of two Friends box-sets! I saw these in Coles supermarket the other day for $2 each and fell in love! 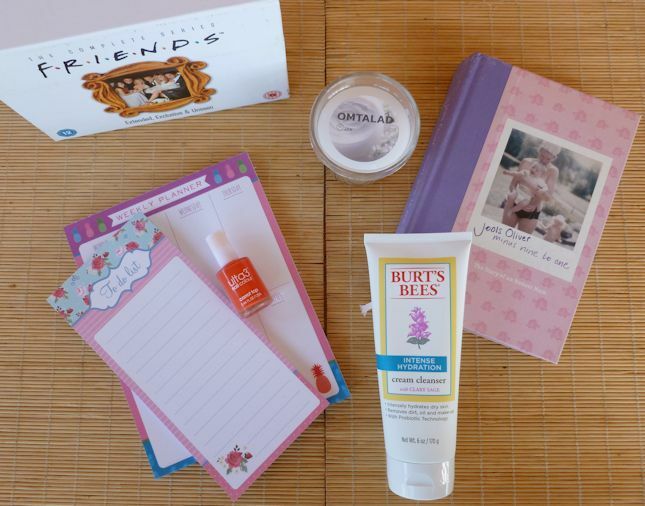 It sounds crazy, but they do actually help me be more organised as well as them looking pretty on my desk. I ran out of my trusty Revlon Coral nail polish I brought over from the UK the other week and was on the lookout for a cheap alternative as my toe nails are constantly painted as I now live in flip-flops. I stumbled across the brand Ulta3 in Ray White Chemists which seem to sell every colour under the sun, and found the shade 'carrot top' which seemed to fit the bill. I would never have guessed these were just $2 each, it was great quality and coverage- I'm definitely going to have a mooch at some other colours next time I'm there! Yesterday me and M went 'op shopping' (charity shop shopping), and I came across this book. In Australia, books are generally really expensive (they don't have Amazon, wah!). Although I've only just started this book, I can tell I'm going to really enjoy it. Although I don't plan on having children anytime soon, it's one of those books that you can dip in and out of which makes a change from the generally heavy books I have to read for my job. We took a trip to Ikea a couple of weeks ago to pickup a blanket (it's got so cold here overnight! ), and I was on the lookout for some scented candles. I actually ended up getting a few of the cheapest ones (Omtalad) as they were only $0.99 each. IKEA describes the scent as "musk with hints of roses and warm amber" which is pretty accurate. Normally I don't really like rose scents, but I didn't mind this one. They've really helped me relax over the past few weeks and given our room a warmer feel. After having a great experience with the Burt's Bees Soap Bark & Chamomile Cleanser (which I can't seem to find anywhere in Australia), when I saw Priceline were having a 40% off all skincare sale, I had to try another one of their cleansers. As my skin is dry and sensitive, the cream cleanser formulation works really well for me. So far I really like this cleanser, although I still prefer the chamomile cleanser as I just preferred the scent. I think I'm going to have to stay away from Twitter on Wednesday evenings GMT time!- one thing I miss so much about the UK is the decent TV programmes. It's just not the same here in Australia and the GBBO is one programme I miss. I caught up today and I'm already hooked!